This, this is a thing of beauty. 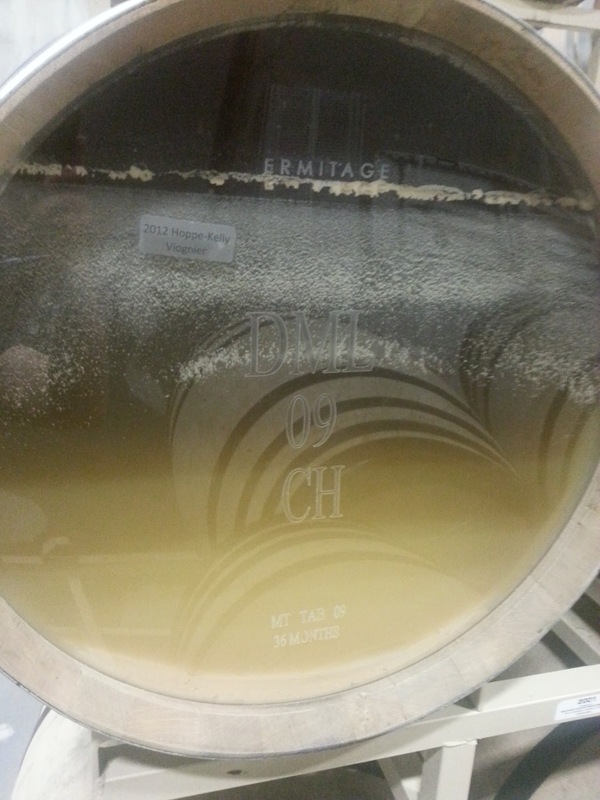 A voluptuous Ermitage barrel of Viognier that you can see right into. Look at those layers. The healthy crud above the surface of the young wine, a remnant of the fermentation that was not long ago roaring right here in this barrel. 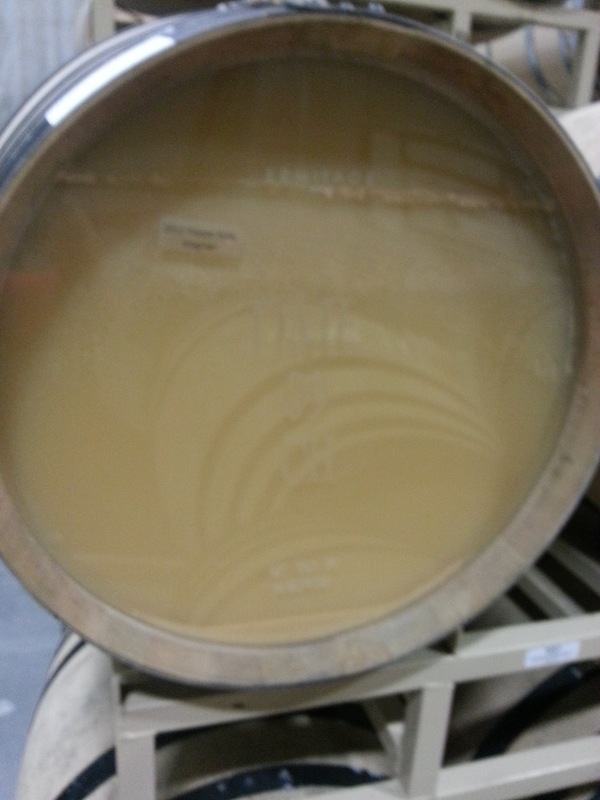 The heaviest lees sit at the bottom, full of dead yeast cells and all the compounds they give off when they break down. The plexiglass siding here also lets us see that it takes a good week for the lees to settle back down. Generally speaking, stirring leads to a bigger-bodied, rounder wine because of the way things like nutrients and amino acids present in the dead yeast cells influence the wine’s chemistry and, ultimately, the way it tastes and smells. Stirring can be laborious and monotonous. There are many barrels, many lots, it takes ages, tires out your arms, and is often combined with taking samples. But it passes the time as the cellar slows and then screeches to a halt and the interns start scrambling for every job. Even pressure washing. Climbing barrels warms you up amidst the cold of the steel and concrete cellar in the frosted fall mornings that threaten us like an undertow. But nothing stems the tide. Another one, done and gone. Australia’s taking shape fast.